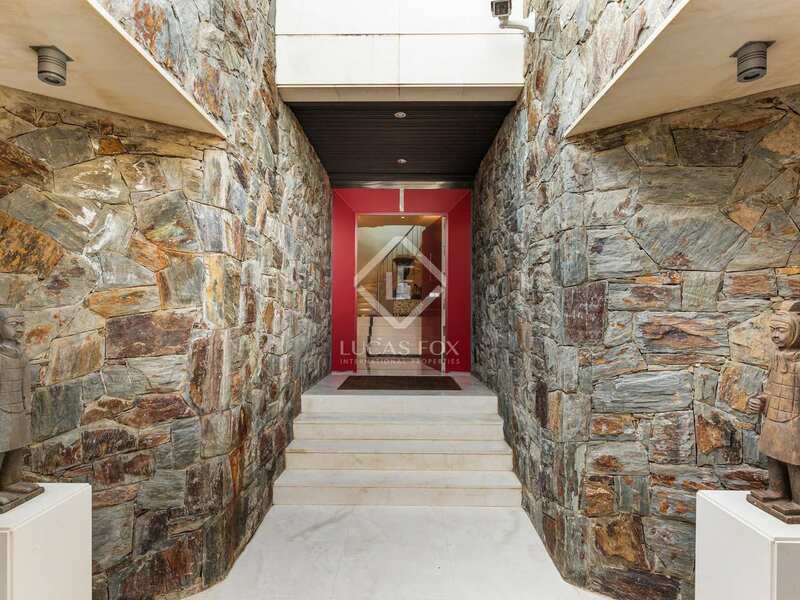 Beautiful villa built in 2002 in Ciudad Diagonal, one of the best residential areas of Esplugues de Llobregat. 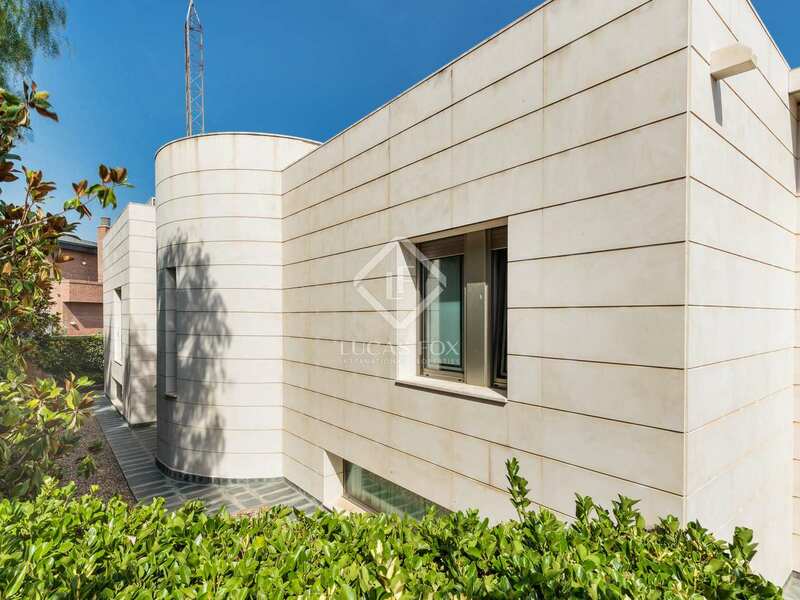 We find this 550 m² villa on a generous 725 m² south-facing plot in Ciudad Diagonal, one of the best residential areas of Esplugues de Llobregat. 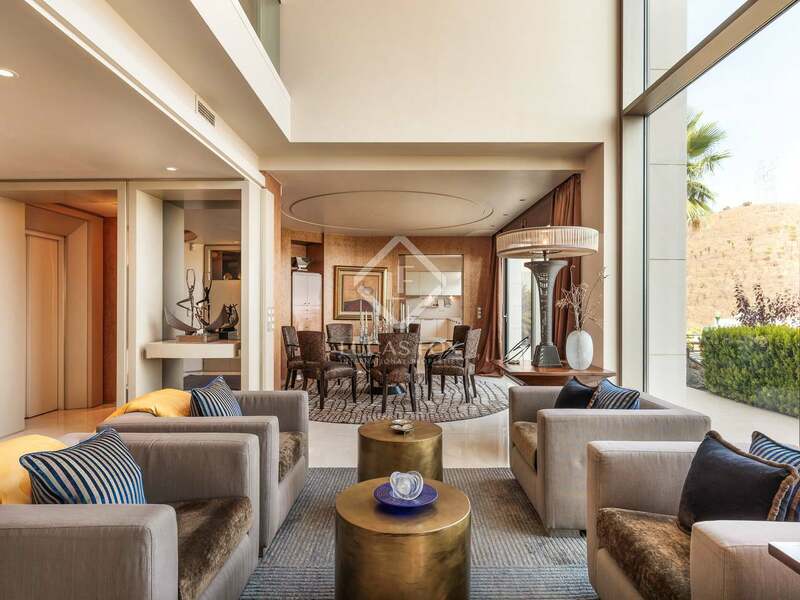 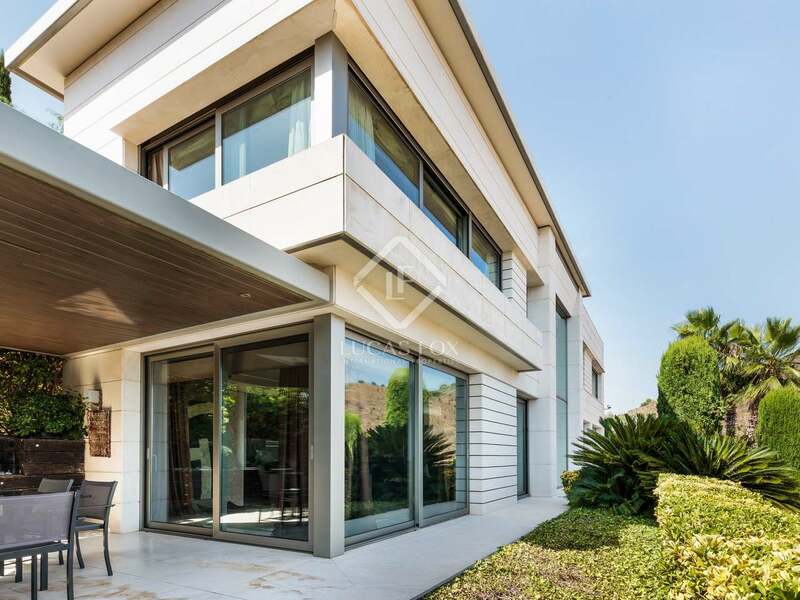 The garden area has been very tastefully designed and surrounds the entire property, with the possibility of installing an infinity swimming pool. 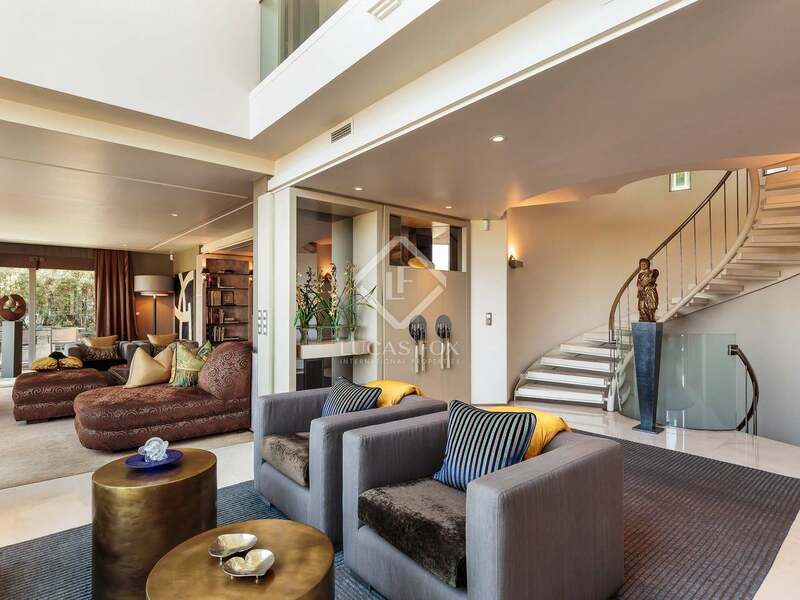 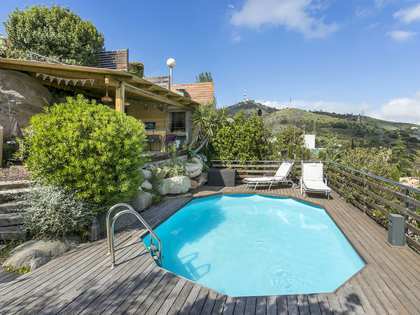 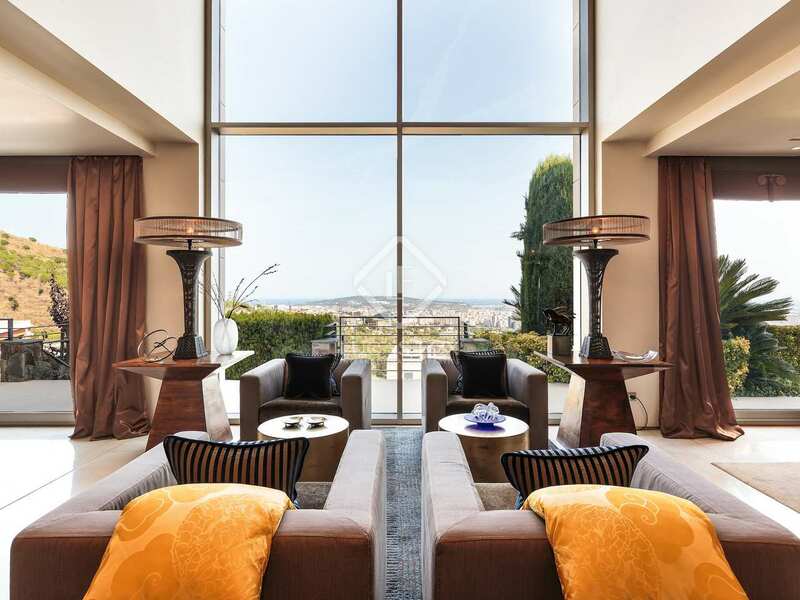 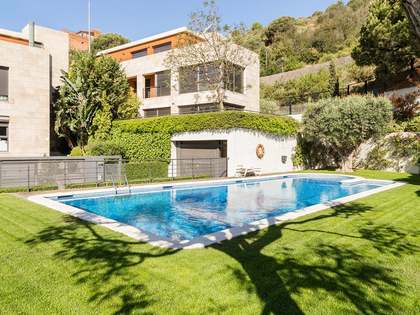 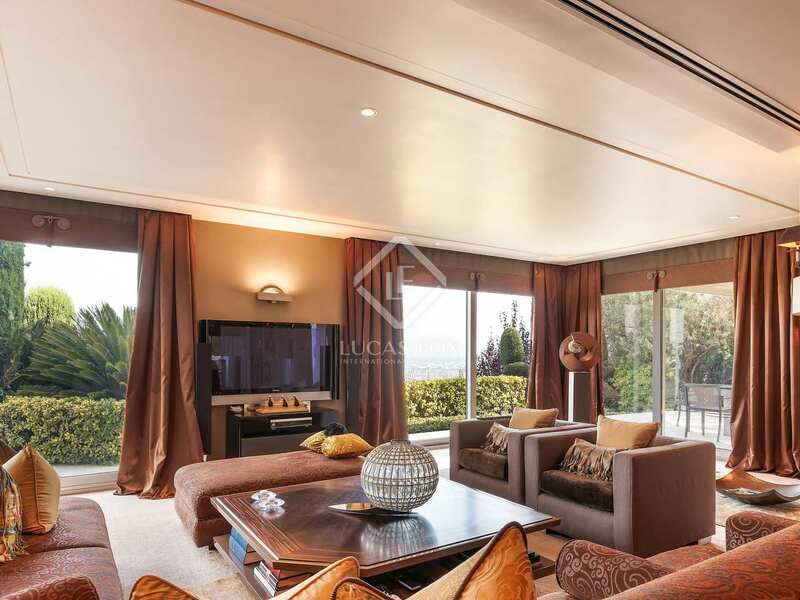 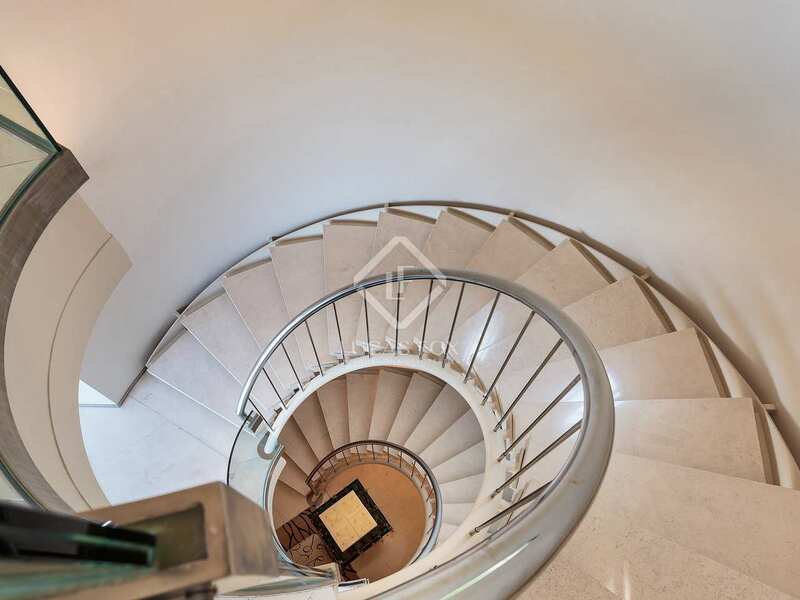 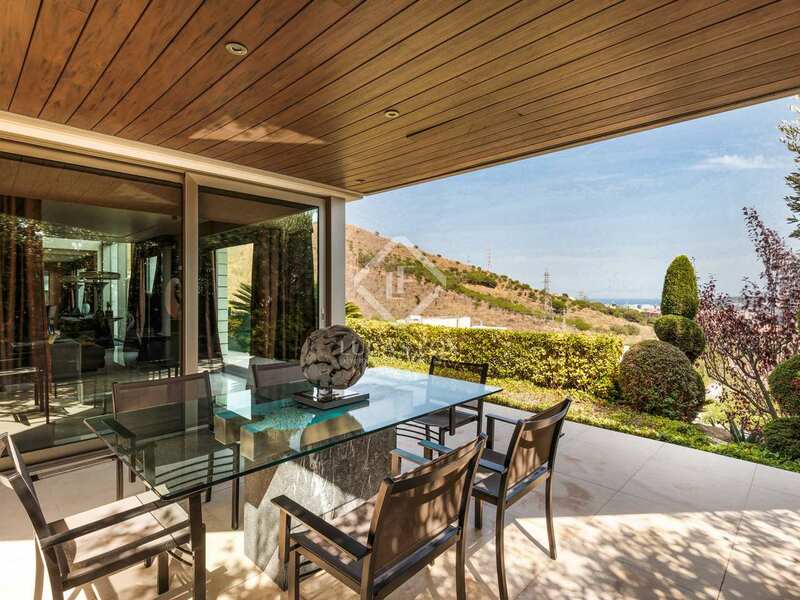 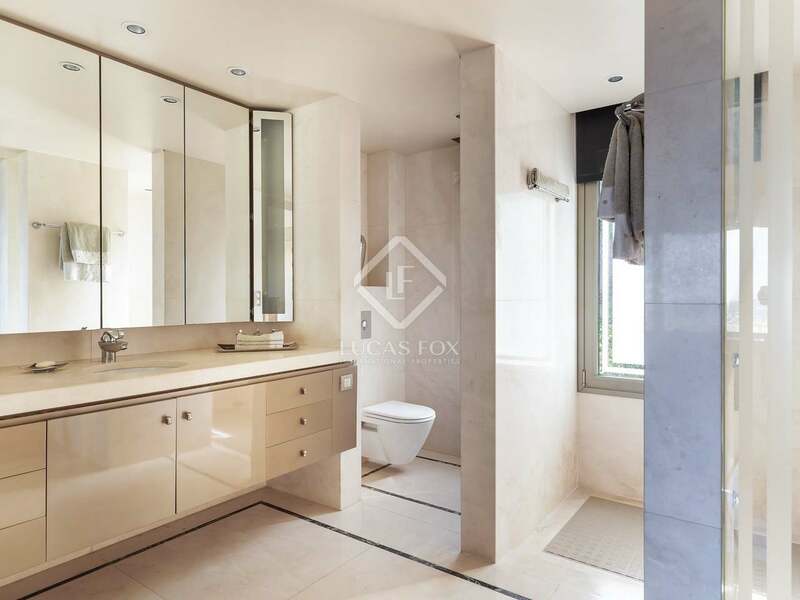 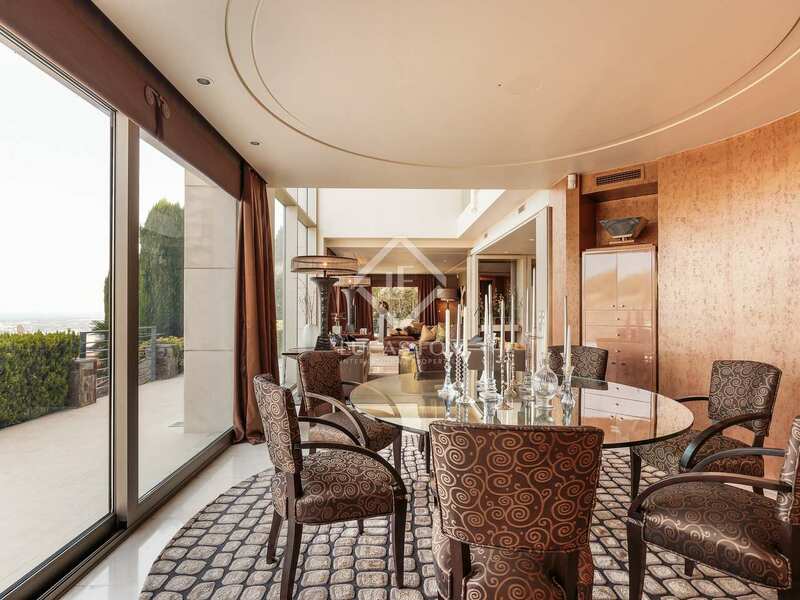 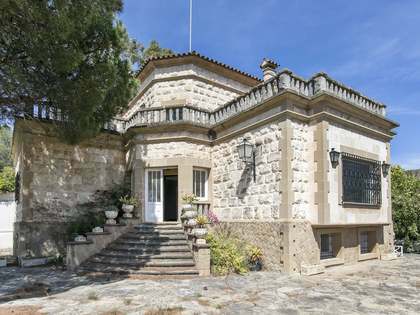 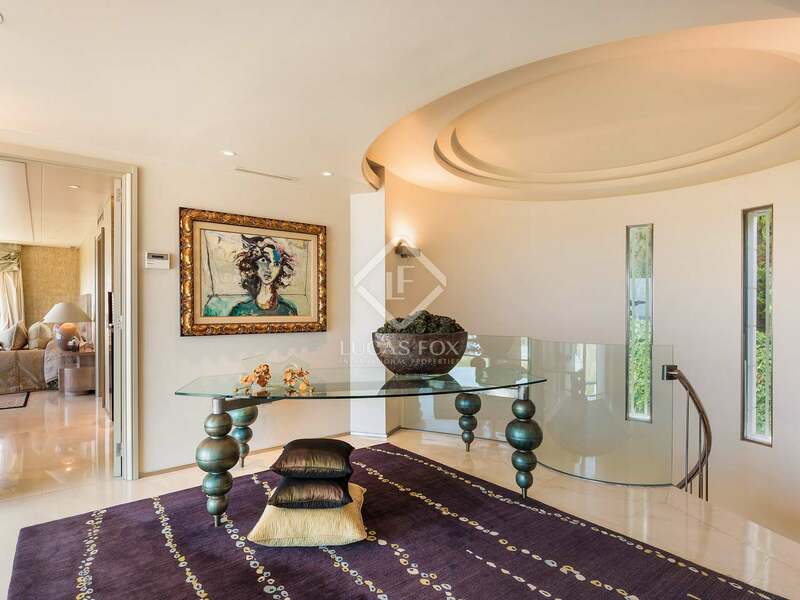 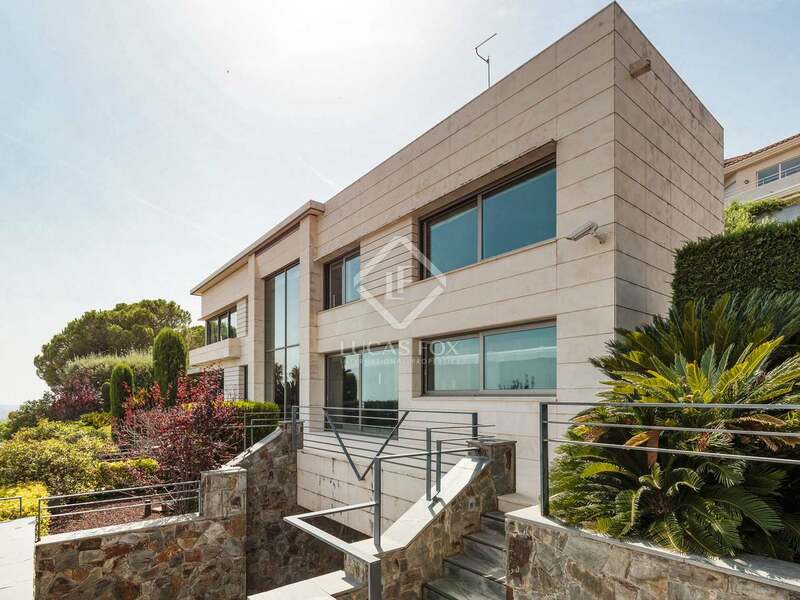 The house boasts an elegant design and is found in perfect condition with spectacular views of the Collserola Natural Park and the city of Barcelona. 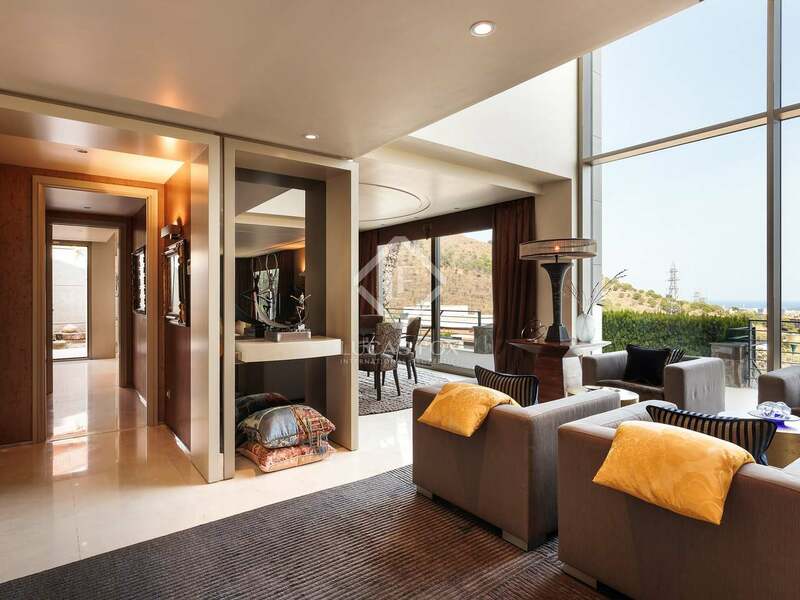 On entering we find a multipurpose room which can be used as a pool room or home cinema for example. 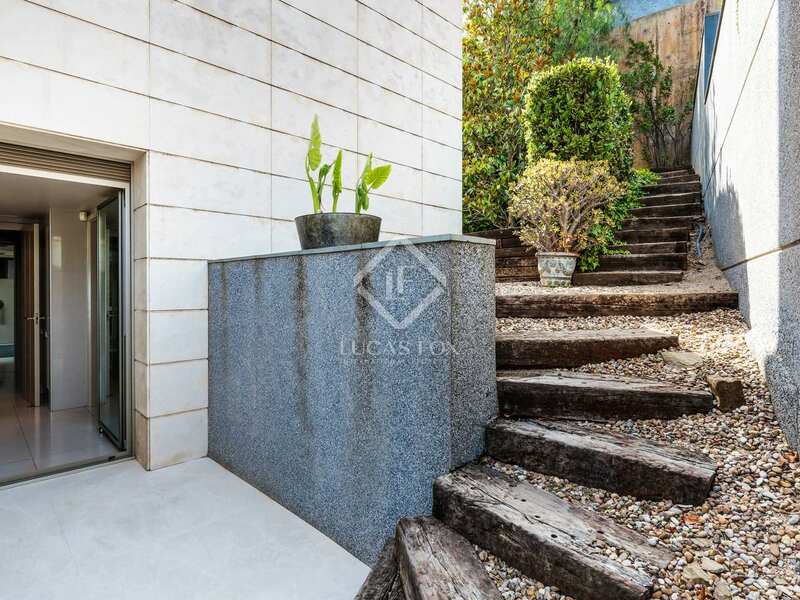 On the same level is the parking area with space for 4 vehicles and the service bathroom. 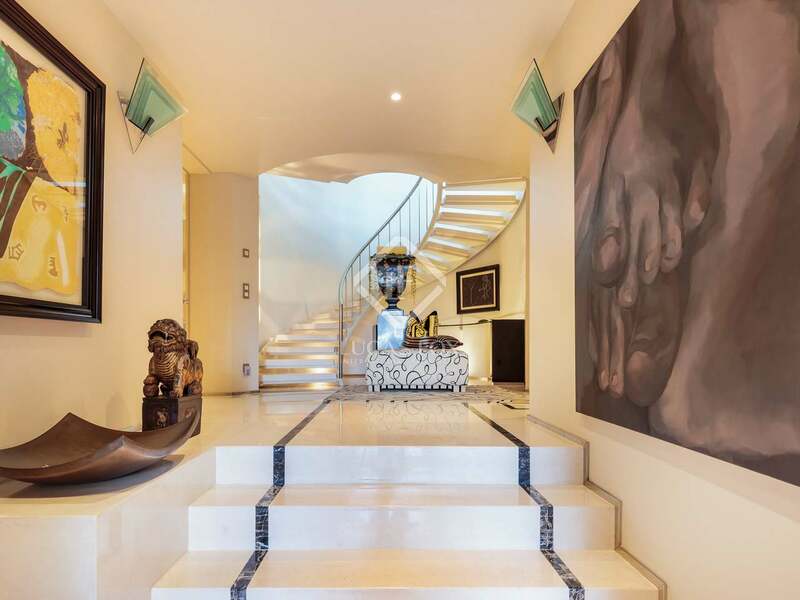 A majestic staircase takes us to the living room – dining room with direct access to the porch which features a beautiful pergola that is ideal for outdoor dining. 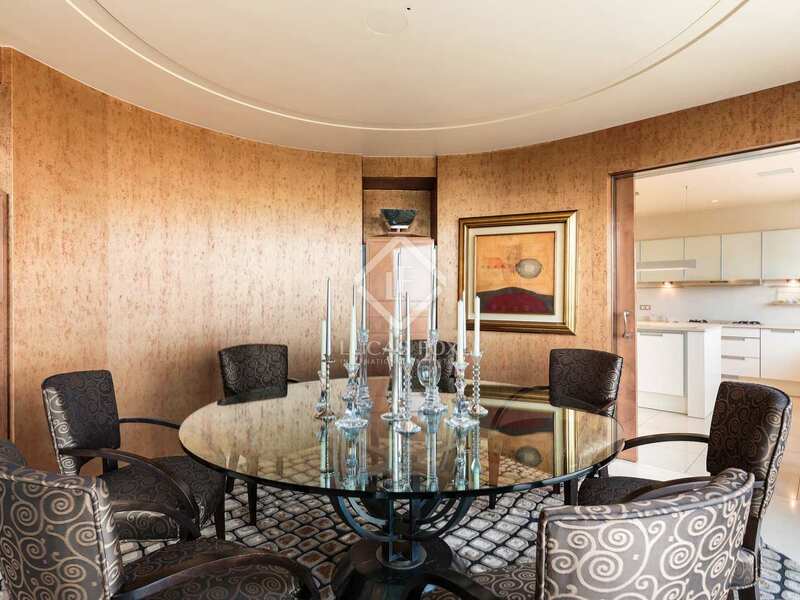 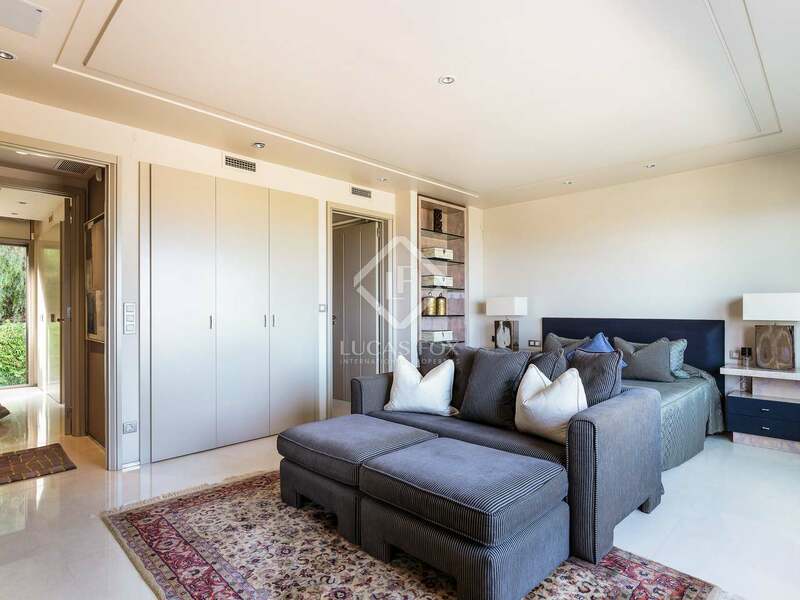 The living room has a study area which could be used as a bedroom and the kitchen diner is fully equipped with a large pantry that could be converted into a service bedroom. 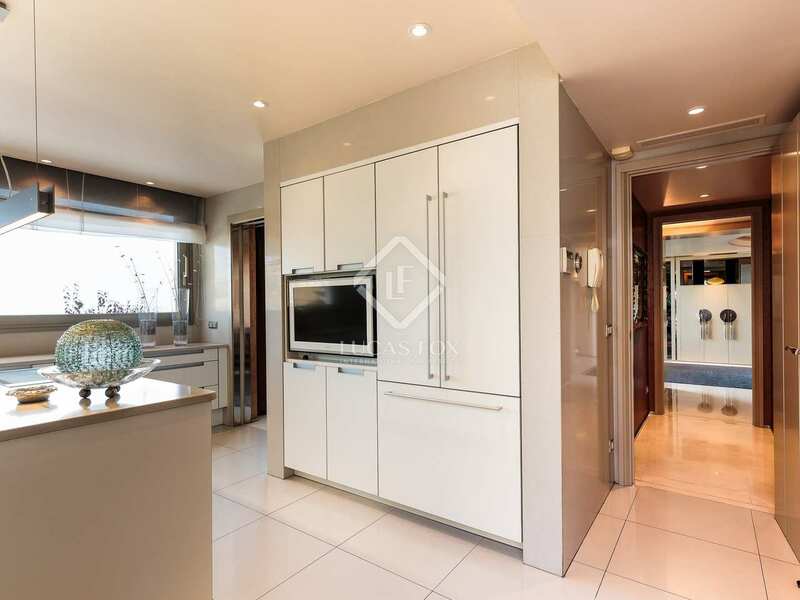 The kitchen has a separate entrance from the exterior. 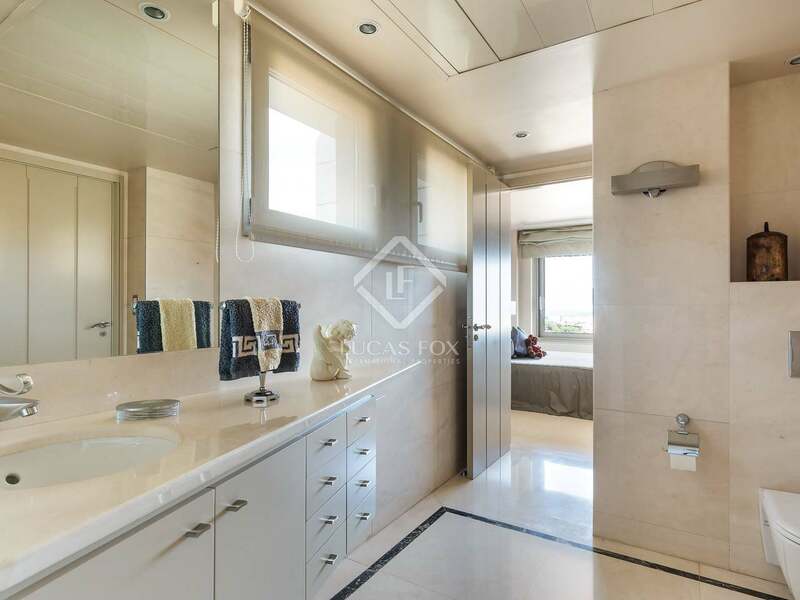 A guest bathroom is found on this level. 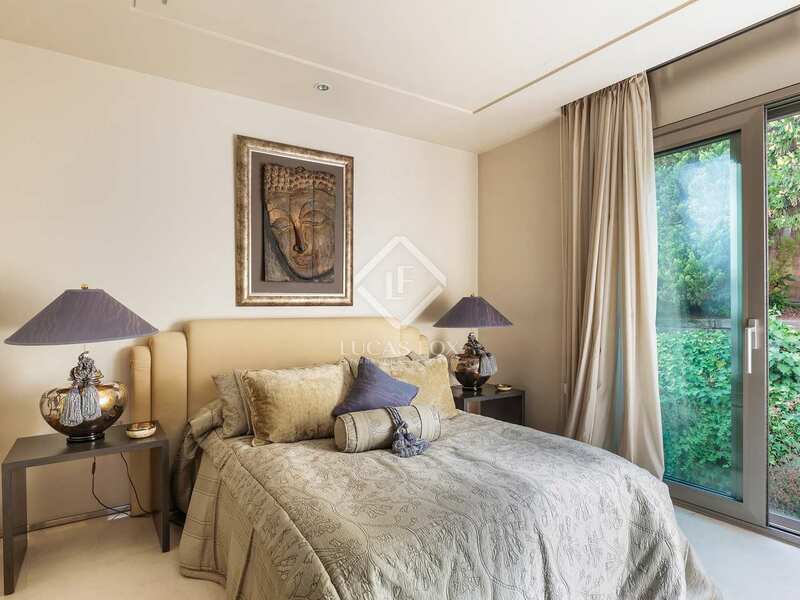 On the upper floor we find the en-suite master bedroom with a large double dressing room. 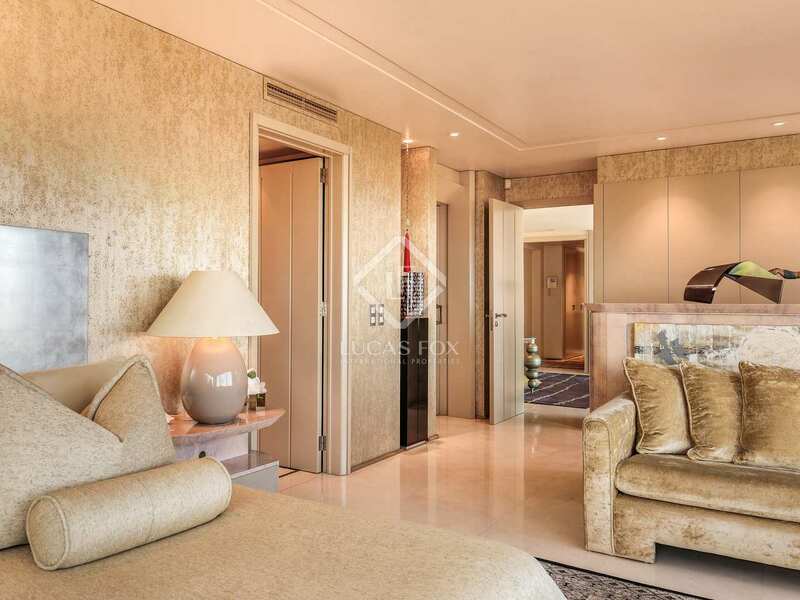 At the other end we find a large room that is divided into a study area and a double en-suite bedroom. 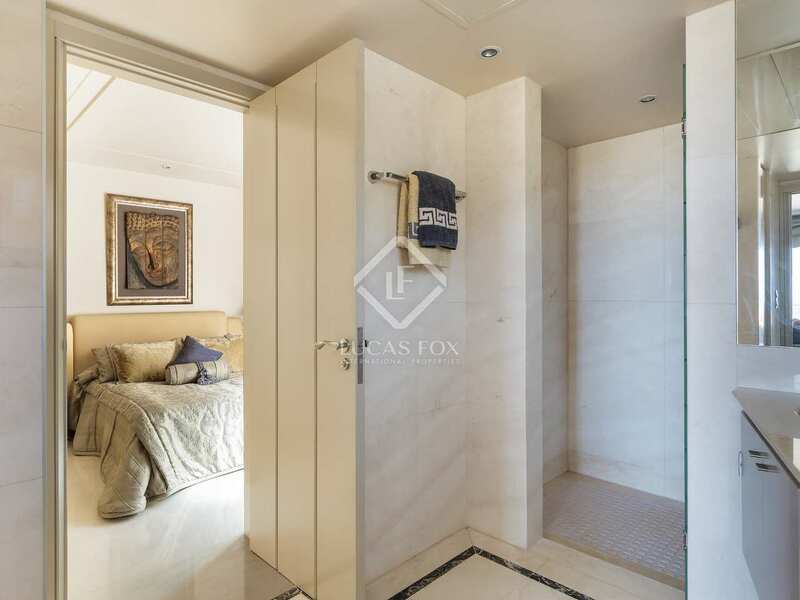 The fourth bedroom is a single that shares a bathroom with the previous suite. 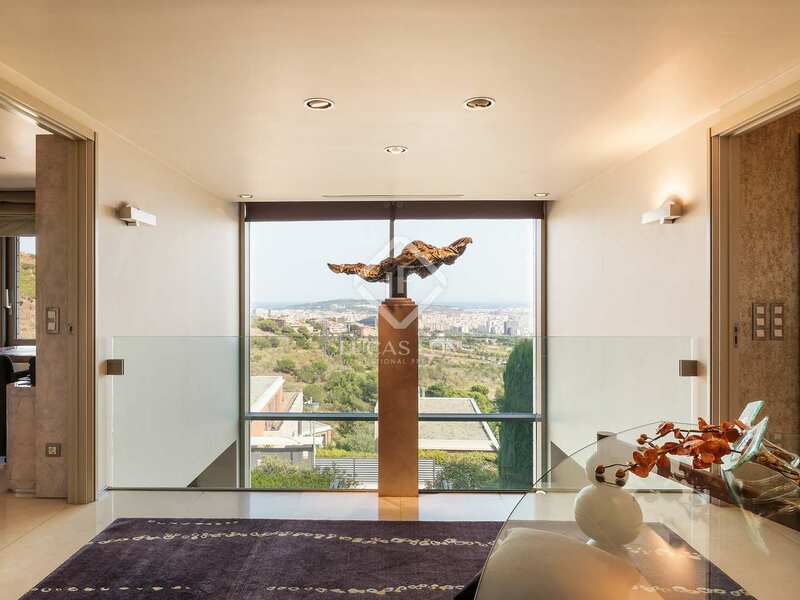 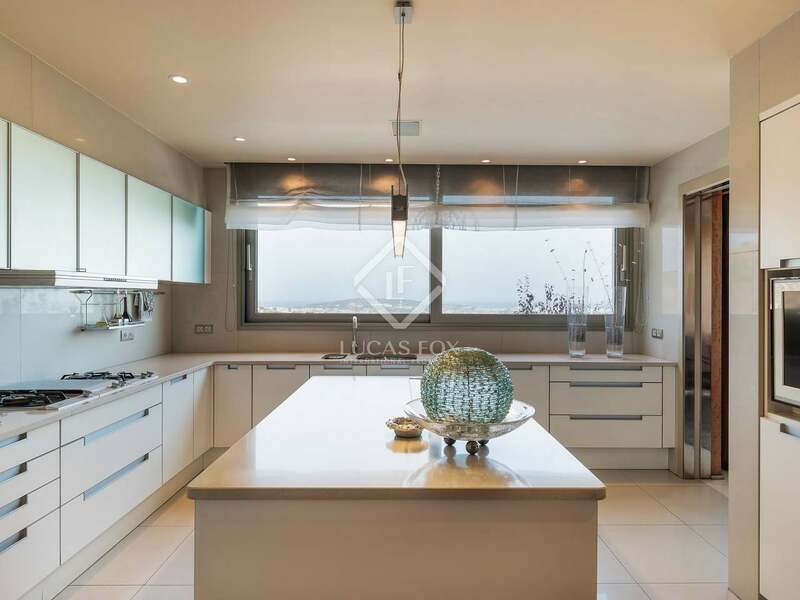 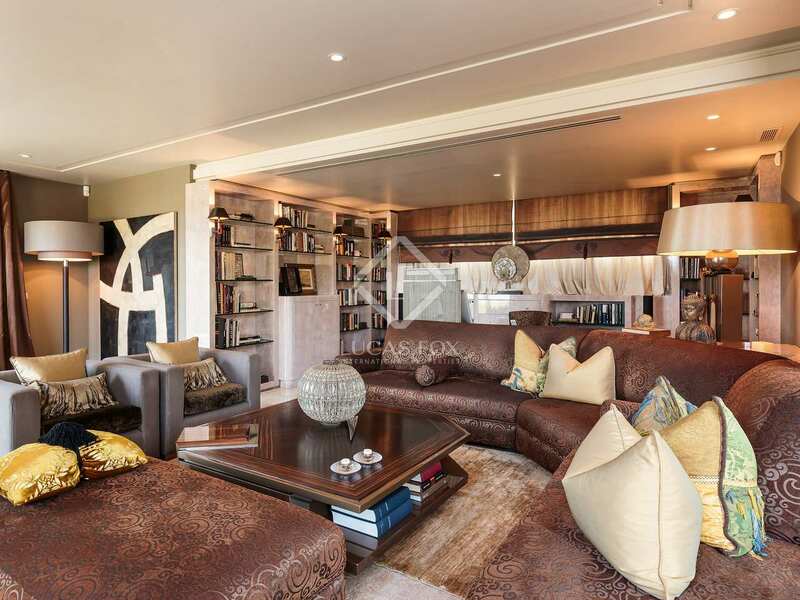 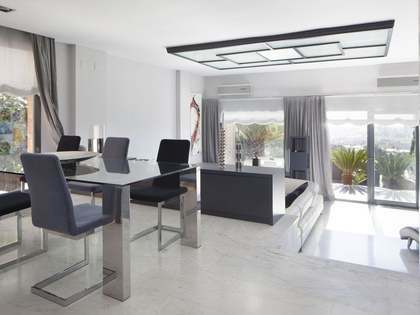 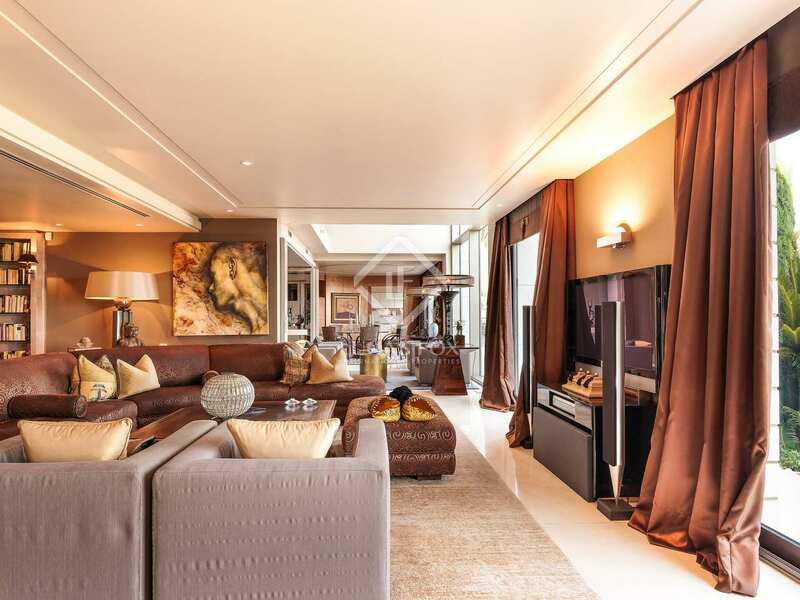 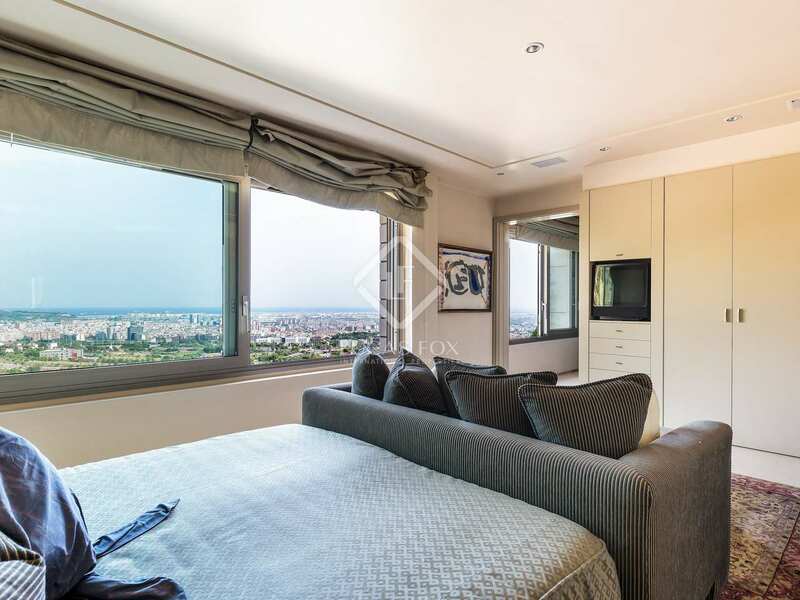 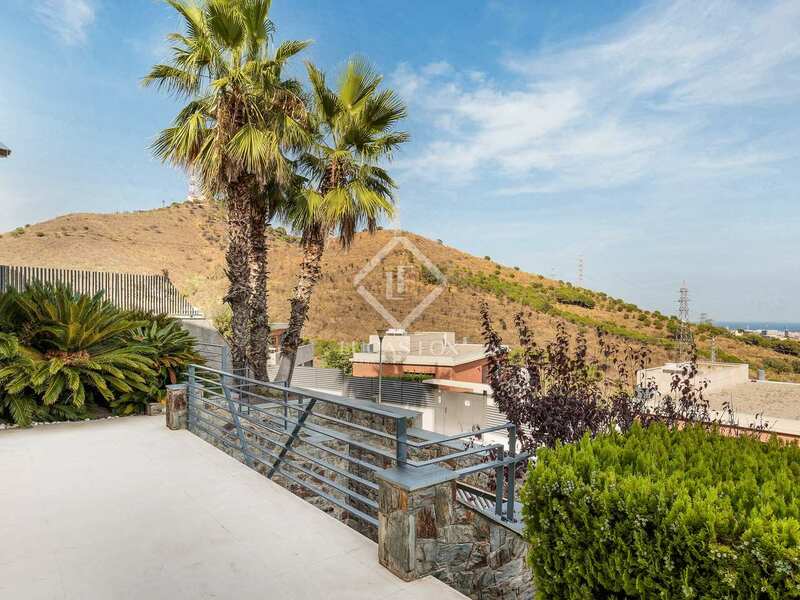 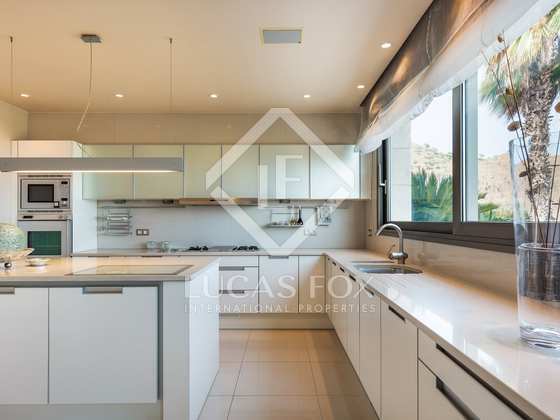 A wonderful modern villa with a garden and views in Ciudad Diagonal. 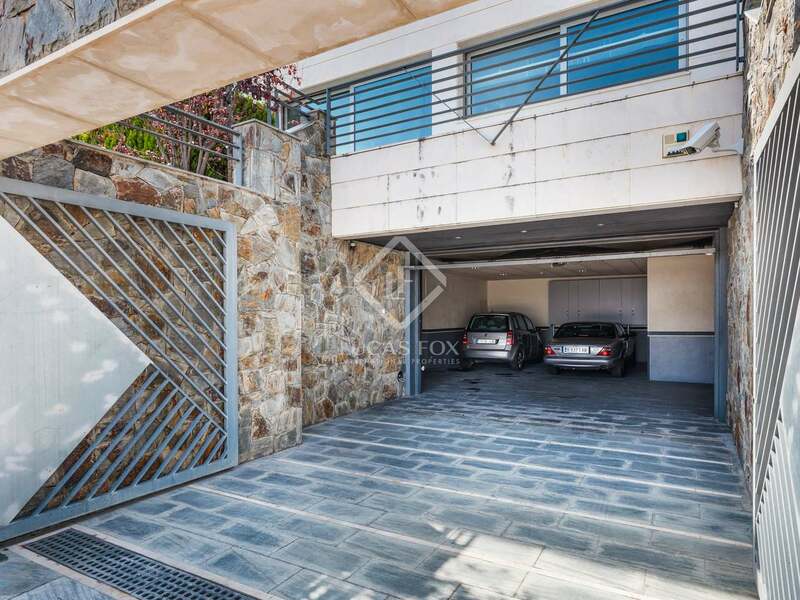 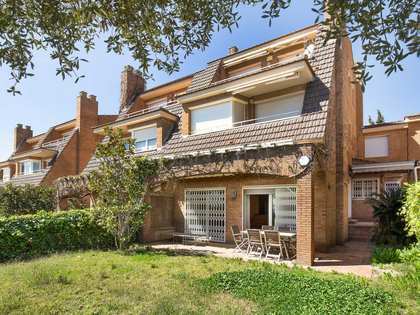 Villa in Ciudad Diagonal, one of the best residential areas of Esplugues de Llobregat. 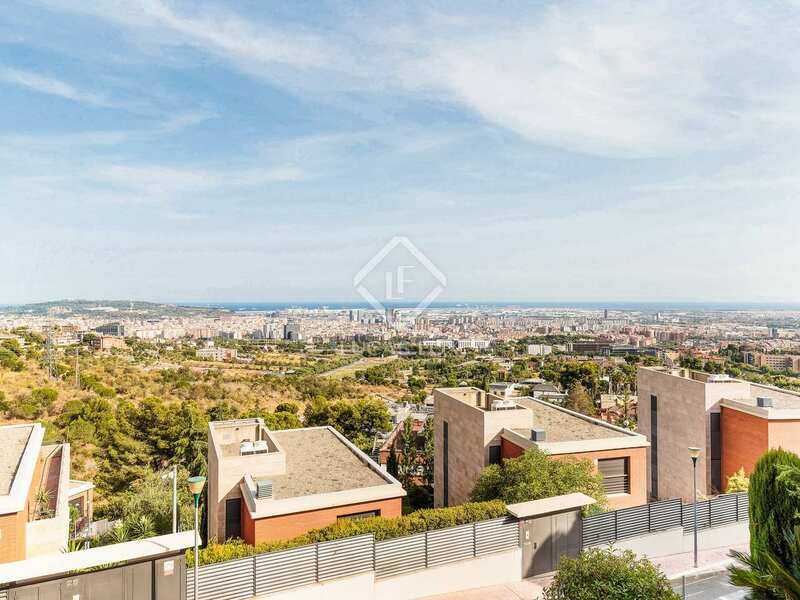 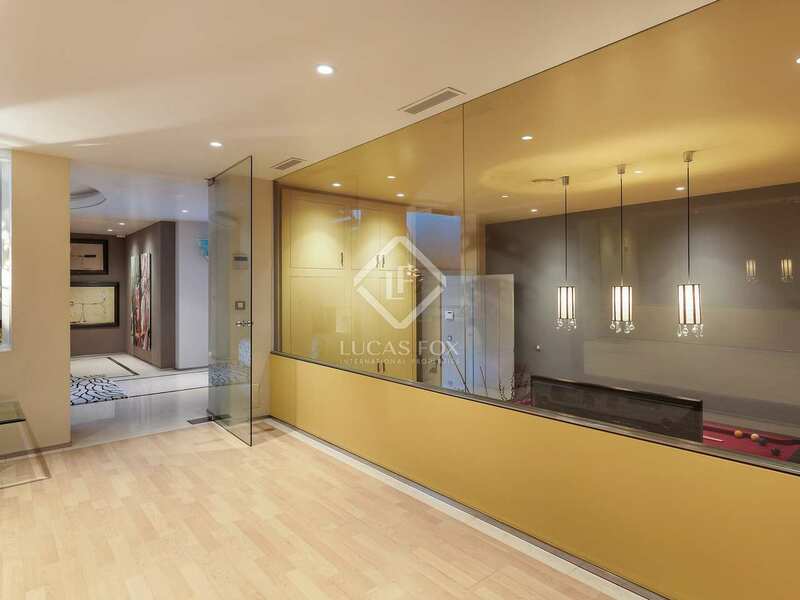 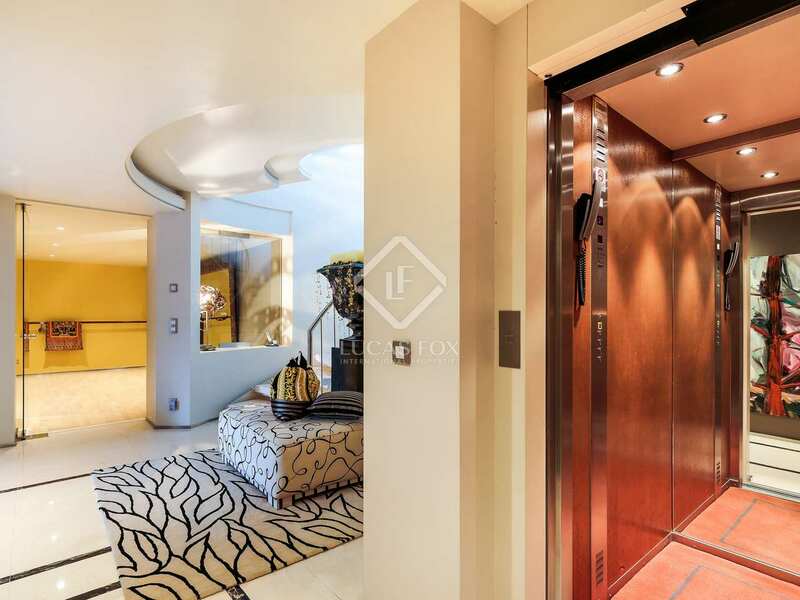 Close to international schools and within easy commuting distance of Barcelona City.